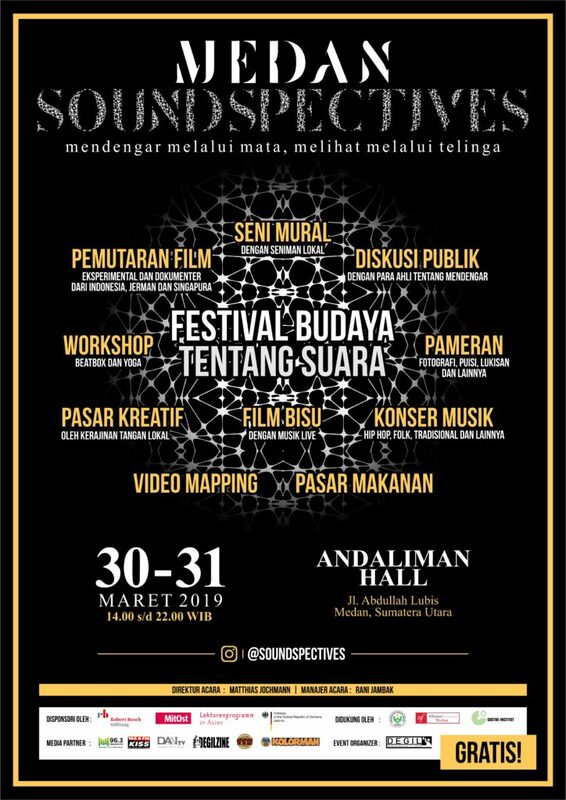 ‚Medan Soundspectives‘ is a cultural festival that focuses on the art of hearing and the acoustic diversity of Medan. The program consists of various film screenings, exhibitions, workshops, public discussions and music concerts of 20 Medanese bands of various genres – Hip Hop, Classic, Traditional, EDM, Experimental etc. By this multi-dimensional approach I hope to raise the audiences attention for the diversity of Medan, for its sounds and for the importance of listening as the basis for profound communication. As ‚Medan Soundspectives‘ seeks to attract a broad audience it will balance entertainment and education.